The provincial government is developing a new strategy for mental health and addictions in Ontario. Policy makers are consulting with stakeholders across the province. CMHA Ontario has developed key messages to inform the development of this strategy. Below are the key messages and some talking points for each one, to explain what the issues are, why they are important and what is needed. Ontario needs a strategy to promote the mental health of all Ontarians. The strategy should address social inclusion, freedom from discrimination and violence, and access to economic resources. Good mental health or “positive” mental health is about more than the absence of illness. It is about the capacity to feel, think and act in ways that enhance our ability to enjoy life and deal with the challenges we face. Positive mental health is influenced by many factors that are beyond individual control. Social inclusion, freedom from discrimination and violence, and access to economic resources are the three most significant factors. Social inclusion fosters social ties, which promotes attachment, enhancing self-esteem. Discrimination creates a hostile environment, resulting in psychological distress. Being a victim of violence is strongly associated with substance abuse and mental health problems. Access to economic resources impacts social connectedness, one’s sense of competence and control, and socio-economic status. There is a large amount of evidence on the impact of these three factors as well as what can be done to address them. Investing in community mental health is making a difference, but services and supports are under-funded. These programs substantially increased the number of clients they were able to serve. However, the community mental health system still does not have the capacity to serve all those in need. Clients of newly enhanced programs experienced a range of positive outcomes. Matching the level of care that clients need with the level they received has improved. There are still many people receiving less than recommended levels of care. However, only a select number of community mental health agencies received the majority of the $200 million investment. The majority of agencies received a 2% budget increase in 2004 and annual increases of 1.5% from 2005 to 2007/2008. Community mental health funding varies significantly across the 14 LHINs. Some of the $200 million was strategically invested to begin to rectify the funding inequity but a significant gap remains. Ontario needs employment support programs that are based on incremental successes and long-term strategies, and that are coordinated across ministries. Working is associated with improved functioning, a reduction in symptoms and fewer days in hospital. The main barriers to sustainable employment in the mainstream job market for people with mental illnesses are lack of education and rapid job placement. Employment support programs help people secure and retain employment. These programs are poorly funded and funding is fragmented and uncoordinated across Ministries. Ontario needs secure, stable housing for people with mental illnesses. The strategy must include more units of affordable housing and supportive housing, additional rent supplements, and funding for housing repairs. Many people with mental illnesses live in substandard housing that is physically inadequate, crowded, noisy and located in undesirable neighborhoods. Maintaining and improving the housing of individuals with serious mental illness can contribute to a reduction in psychiatric symptoms and decrease the need for emergency and treatment services. This reduces costs for Ontario. Many people living with serious mental illness can benefit from supportive and supported housing programs. But not everyone needs supports. Many individuals can live independently in the community, but poverty is a major barrier to acquiring secure, stable housing. People with mental illnesses need adequate income. For those on social assistance, rates should be increased to reflect the real cost of living, including an accommodation allowance that matches the actual cost of housing and enough income to support nutritious food. The minimum wage should be increased to $10.25 per hour immediately to enable low-wage workers to receive an income that can provide for a decent standard of living. Protect low-wage, part-time and temporary workers through legislation that can lead to more secure employment, needed benefits and greater security. Enhance Consumer/Survivor initiatives and support the role of families. Increase funding to existing CSIs and further expand their number, to support the recovery of people with mental illness. Support families of people with mental illness by providing dedicated funding for family peer support and family organizations. Create a provincial policy framework that involves families and consumers in planning for the addiction and mental health sector, and includes families as partners in the care, rehabilitation and recovery of their loved ones. Community-based crisis services and improved linkages with community mental health services can reduce the use of emergency rooms. Hospitals often have insufficient information to refer individuals to long-term resources in the community, resulting in repeat visits and a missed opportunity for continuity of care. Placing community-based workers in emergency departments and community-based discharge planners in in-patient settings can improve access to community-based services and reduce repeat emergency department visits and readmissions. A lack of access to primary health care and community-based psychiatric care result in more emergency department visits. 24-hour community-based mental health crisis services could be an alternative to emergency departments when physicians are not available after hours. Primary health care is important. We need better access to physical health care for people with serious mental illnesses and improved capacity of primary health care settings to address mental health issues. People with serious mental illness experience poorer physical health than the general population and often do not receive adequate physical health care. Primary health care settings are often the first place turned to by people seeking help for mental health concerns. These settings do not always have the capacity to address these concerns adequately. 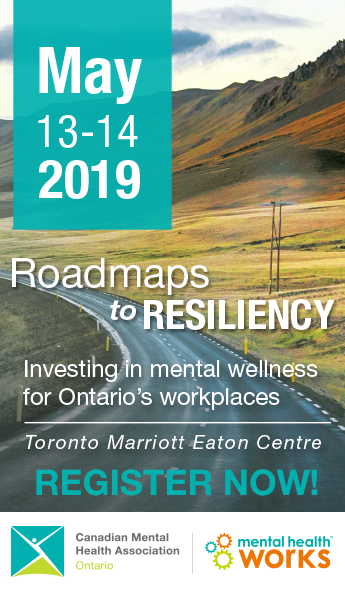 There are many models of integrated mental and physical health care being tried across Ontario to increase the capacity of primary health care settings to address mental health issues and to increase access to physical health care for people with mental illnesses. These innovative solutions and promising practices are not well-known or well-funded.